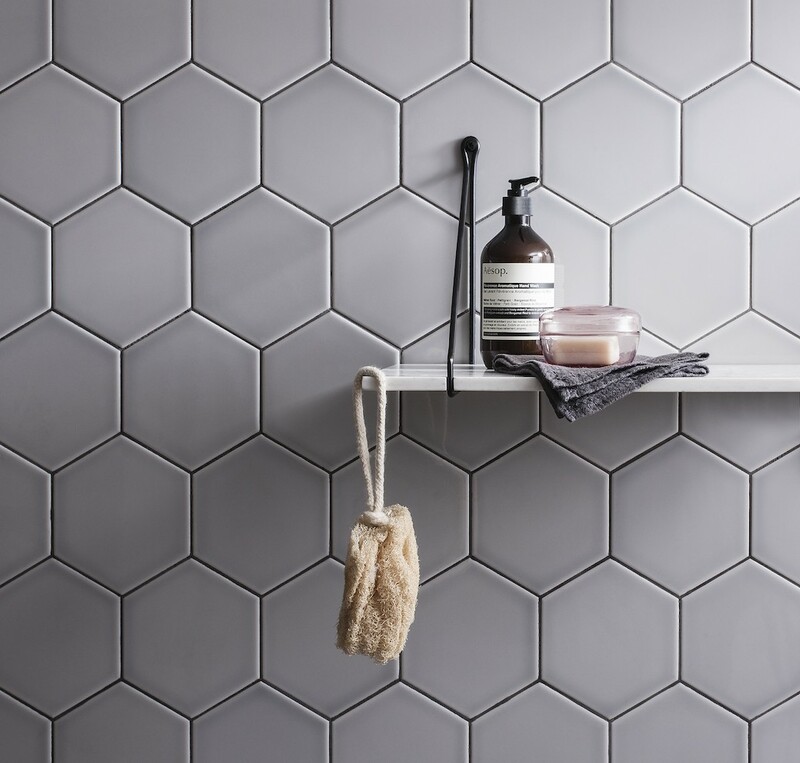 Which brings me to these hexagon tiles from the Savoy range by Gemini Tiles. I’m always drawn to geometric tiles whenever I see a photo popping up on Instagram or Pinterest where this style has been used in a kitchen or bathroom, and this range stands out for its beautiful colour palette of seven hues: Noir, Leaf, Steel, Dew, Caraway, Grain and Oat. Also, crucially, my idea of panelled timber cabinetry simply wasn’t going to work in this particular kitchen – it needed to be crisp and contemporary. 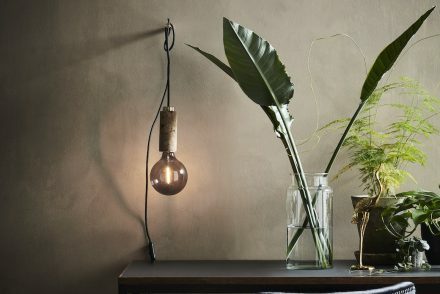 I was visualising sleek handleless cabinets, perhaps in a dark timber or rich grey finish, which meant that the walls, if anything, became even more important. 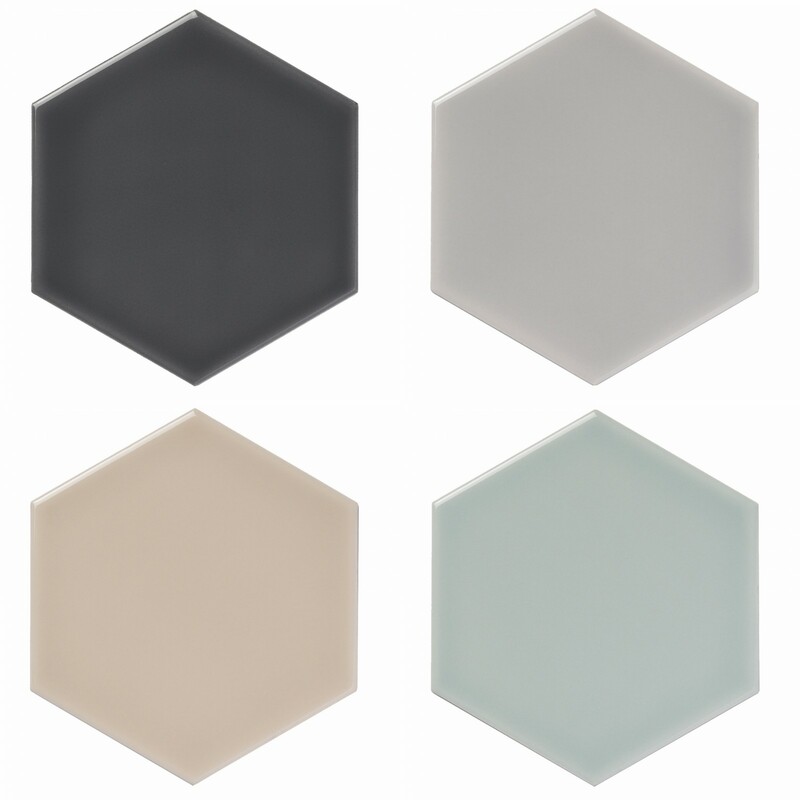 And these hexagon tiles in a gorgeous subtle grey tone could have created just enough impact. 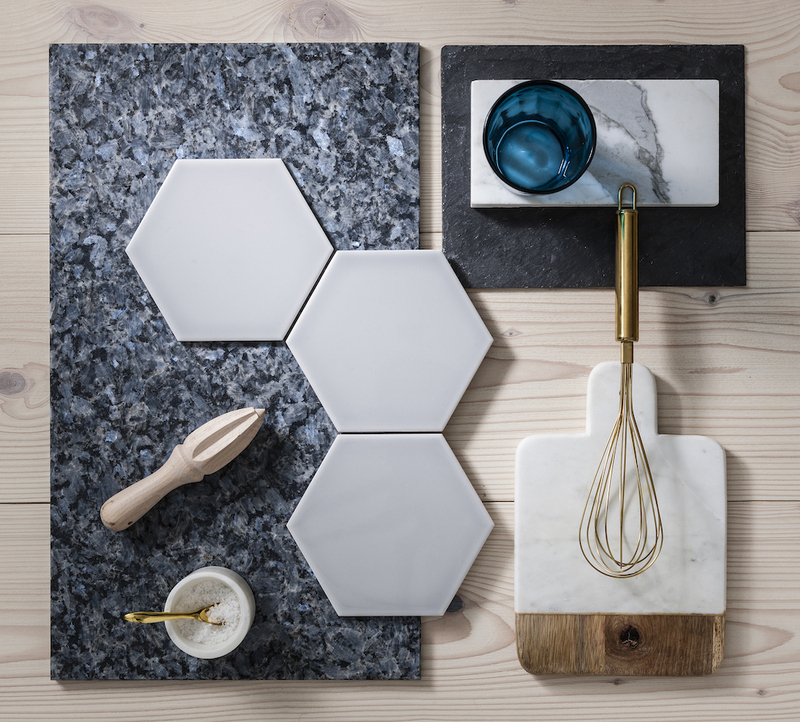 The hexagonal tiles can either be used in one colour, as photographed here, or mixed and matched for a bolder take on pattern. With these hues, it would be tempting to add a very subtle mix on a larger expanse of wall – in a walk-in shower, for example, where you could add a touch of pattern without making the walls feel too busy. 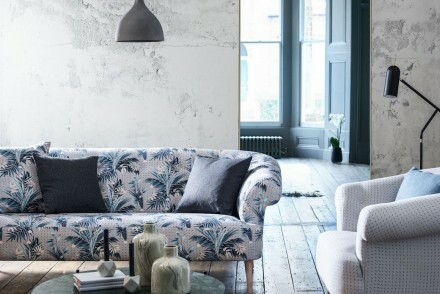 Personally though, I’d stick with one colour and let the detailing itself create impact. I was visualising black taps here, or brass against the warm grey tones – or against the gorgeous rich brown tones of Caraway. 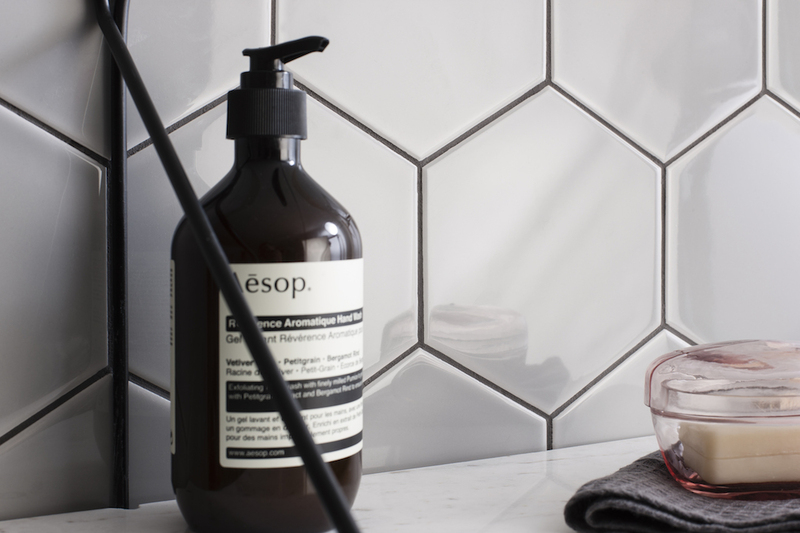 And if this hexagonal shape feels too much used in a whole bathroom, the Savoy range also features a rectangular tile in the same hues and in two different sizes – 200 x 10 x 6.5mm and 300 x 100 x 10mm. 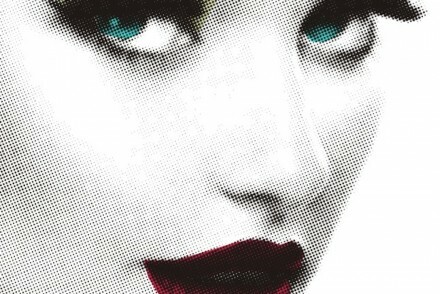 Perfect for that classic subway look but with a modern twist. See the Savoy range from Gemini Tiles. All photography from Gemini Tiles. Love these wall tiles, very different and sophisticated!